Summary: The University of Virginia Law School will receive $44 from Bruce and Martha Karsh and the university’s board of visitors. The University of Virginia Law School is about to receive its largest donation in the school’s history. Bruce Karsh, of Oaktree Capital Management, and his wife Martha announced their intention to donate $25 million to the law school over the next four year period. The university’s board of visitors are providing the addition $18.9 million in the Karsh’s name through matching funds, according to a school press release. The couple first met at the University of Virginia Law School when they were law students. He graduated in 1980 while Martha graduated the year after. The donation was announced during a university dinner on May 10. The $25 million will be paid to the school in increments until 2022, as stated by the Los Angeles Business Journal. Their donation will be used to establish a Karsh Center for Law and Democracy. The center will use interdisciplinary programming to fund professor posts associated with the center and to further support an existing scholarship program. Karsh is the co-founder, co-chairman, and chief investment officer of Oaktree, which ranks as No. 38 with a net worth of $1.9 billion on the LABJ Wealthiest Angelenos list. The couple had donated to the law school on other occasions. This latest gift will put their combined donations over $50 million. They have donated to other educational institutions as well for a total of over $250 million donated. 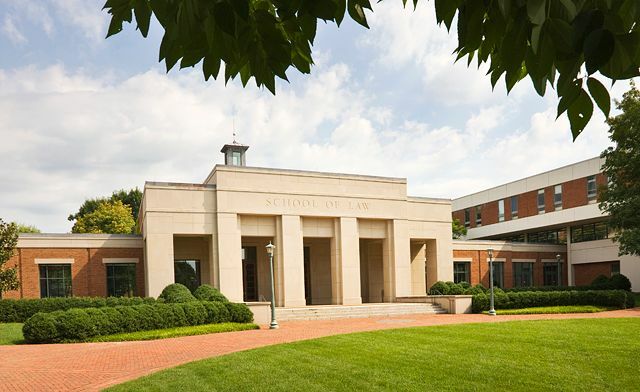 The University of Virginia Law School is the second-oldest continuously operating law school in the country. The university was founded in 1819 by Thomas Jefferson. The law school has been a part of the institution from the very beginning. Do you think law schools rely on donations too much? Share your thoughts with us in the comments below.